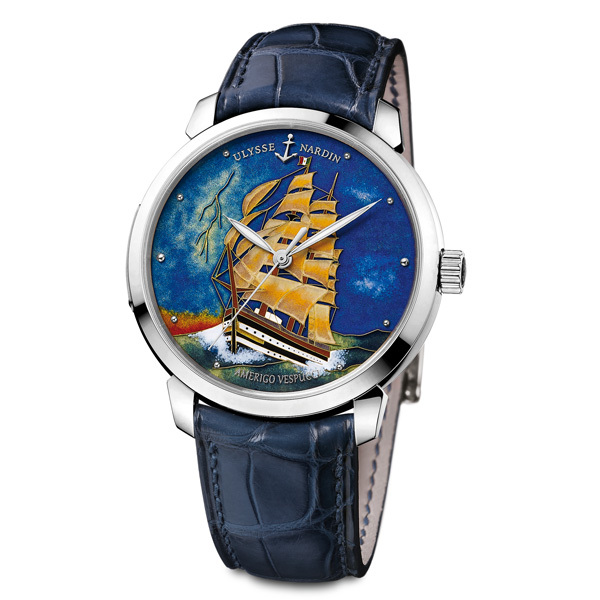 Ulysse Nardin sails into 2014 with the latest addition to its Classico Cloisonne collection: the Amerigo Vespucci. 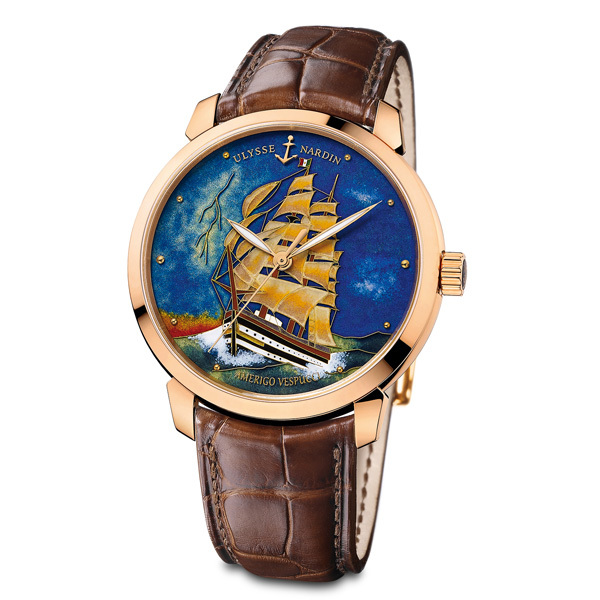 Known for acknowledging magnificent ships of exploration, battle and beauty, Ulysse Nardin celebrates one of Italy's most esteemed full-rigged frigates in this latest timepiece. is a force to be admired. In glorious detail, the Amerigo Vespucci is portrayed. 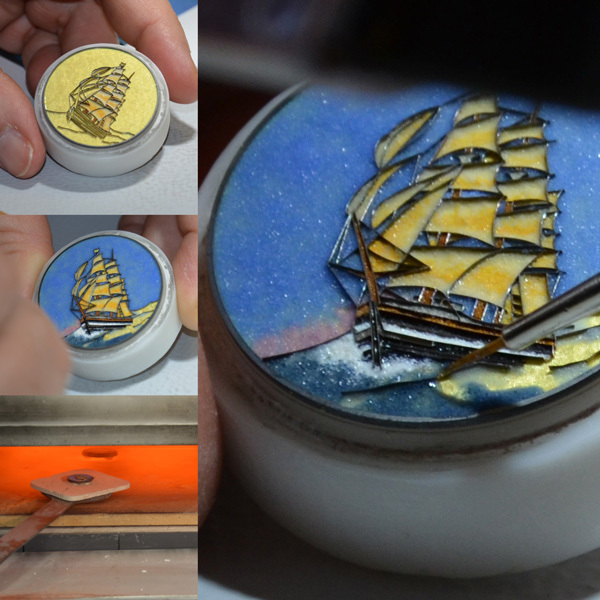 Only achievable through the process of enameling- a lost art harnessed by Ulysse Nardin- this miniature replica appears as authentic as its real-life counterpart. Its luminous colors and three-dimensional effect on the dial add to its essence of realism. 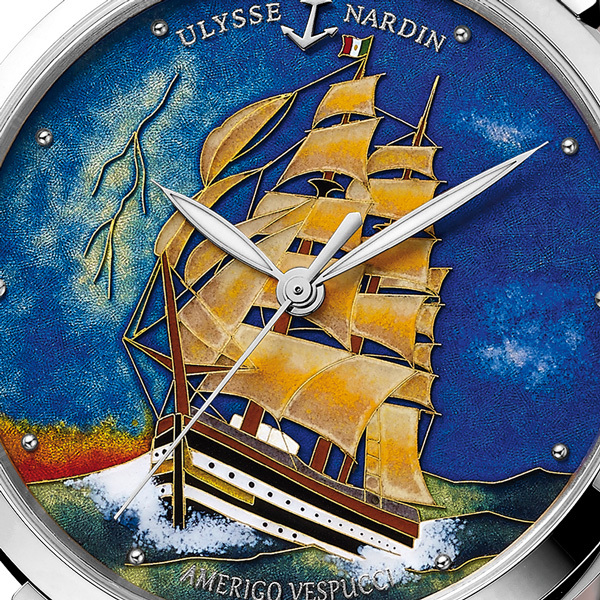 Ulysse Nardin thrives in enameling, a centuries-old meticulous discipline prized by watch collectors worldwide. chambers. Over 500mm of fine gold wire is needed to make the cloisons, a practice that requires 50 working hours by the artist and 26 processes to complete each cloisonne dial. A limited-edition collection of 30 pieces crafted in 18-karat rose and white gold and measuring 40 mm in diameter, the Classico Amerigo Vespucci features a self-winding movement (UN 815 caliber), Chronometer Certificate and water resistance to 50 meters. From her 26 sails to the bright white stripes that dress her black hull, the Classico Amerigo Vespucci is a spectacular display of design and maritime mastery that has traversed the oceans. 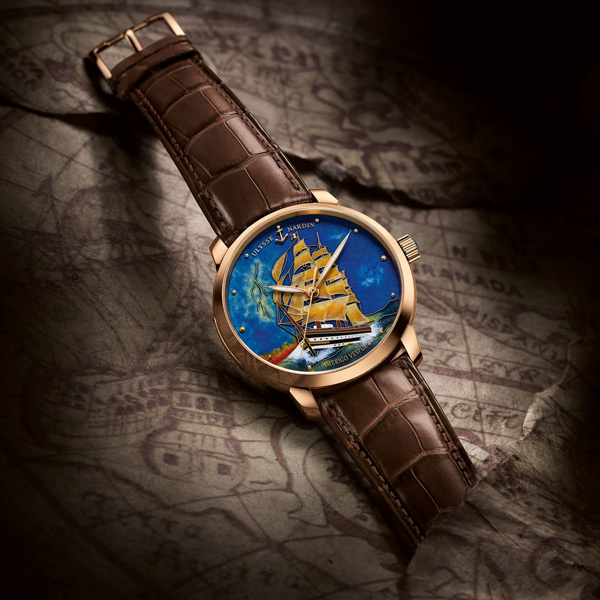 The Amerigo Vespucci continues the tradition of the Classico Cloisonne collection and its depictions of famous vessels, bringing a sense of adventure to its wearers, accompanying them on their many life journeys.